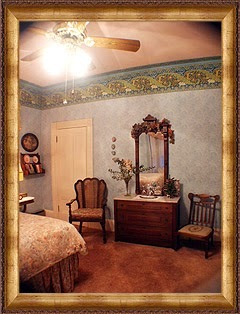 The Hope-Merrill Bed & Breakfast Inn 21253 Geyserville Ave., (800) 825-4233, (707) 857-3356. 12 rooms; $$-$$$. Some TVs; some gas fireplaces. Heated pool (seasonal). Full breakfast. No pets. The solid redwood 1870 Eastlake Stick Victorian Hope-Merrill house is restored exquisitely to that period with antique Eastlake furnishings and authentic Bradbury & Bradbury silk-screened wallpapers. In fact, the original owner's restoration efforts won a first place award from the National Trust for Historic Preservation. Should this lovely inn be booked, opt for the charming Queen Anne Victorian Hope-Bosworth house located across the street. Under the same ownership, these two houses share communal facilities. When the temperature permits, a dip in the attractively situated pool is sublime, and in the morning a full breakfast is served around one large table in the formal dining room. Guests at either house can order a gourmet picnic lunch for two featuring local foods. A two-part “Pick and Press” package is offered for wannabe winemakers. Participants check in at harvest time in September for a round of grape picking and pressing, plus, of course, some tasting and dining. They return in spring for a bottling and labeling session, plus, of course, more tasting and dining, and then depart with two cases of their own wine sporting personalized labels.